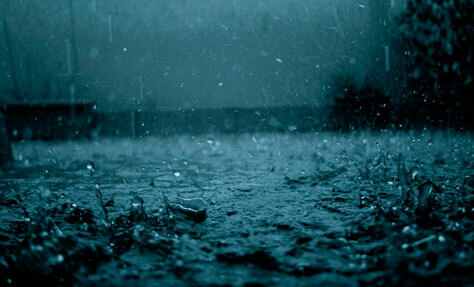 Rain streams are badly discerned in gloomy weather. If a sunbeam suddenly appears during the rain, one should take pictures against the light in order to make raindrops sparkle. However, at great speed of shutter activation raindrops won’t be seen in the picture: they are too small. That is why it is necessary to turn the drops into streams. To achieve this it is necessary to reduce the aperture and to increase the exposure, then the falling drops of water will leave the traces in the picture, which will be the longer, the longer the exposure is. Application of the long-focal-length optics is to improve the picture quality.